What an incredible, memorable weekend I had! On Friday my mom, my sister (MaryBeth), my sister in law (Stacey) and I flew to Midland, Texas for the weekend! 3 of my dearest friends Estee Martinez, Shelley Arrington & Traci Edwards threw me (& baby Josselyn) an amazing BABY SHOWER! I was so blessed and honored by the whole occasion! My friends put so much time, energy & thought into every detail of the shower. When I walked up to Shelley's house there was the sweetest wreath on the door that said "JOSSE" on it ;) Sweet Elley made it just for Josselyn! Looking at that wreath brought back memories of all the times little Elley came over to our very first house in Midland and we would make Holiday wreaths together in my tiny kitchen :) Elley was probably only 14 yrs old at the time but we were wreath making buddies! The sweet Arrington family! Can you see the adorable "Josse wreath"
Then, as I walked into Shelley's house I was blown away by how gorgeous they decorated for the shower! 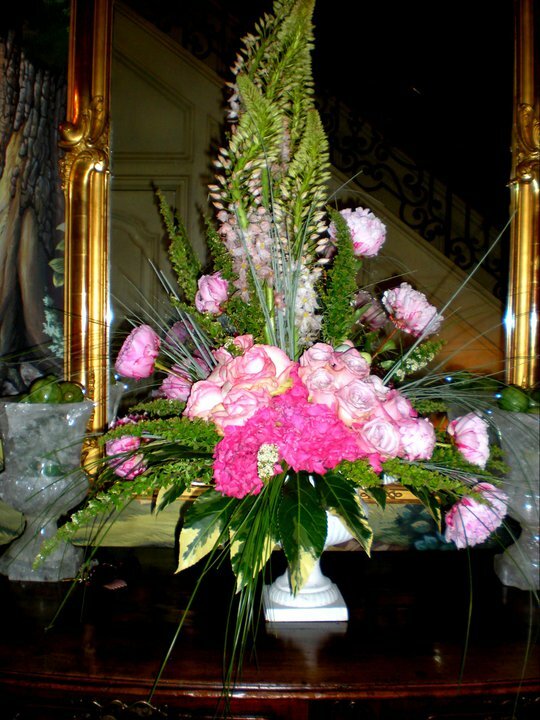 There were beautiful pink flower arrangements every where. 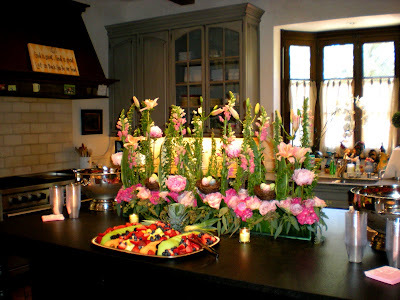 Some of the arrangements had adorable birds nests on them...it was so gorgeous & very shabby chic! 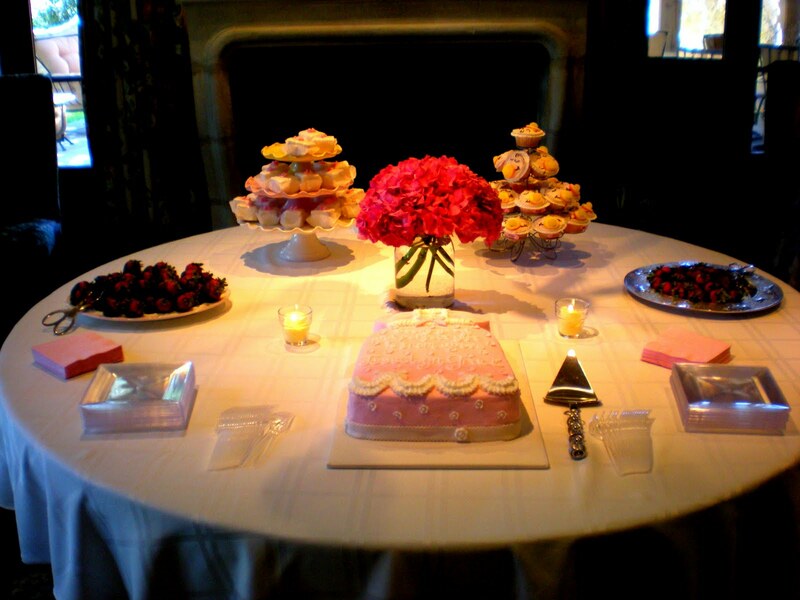 At the end of the shower the guests were all given the most precious little bids nests with egg shaped soap in them to take home as a party favor. 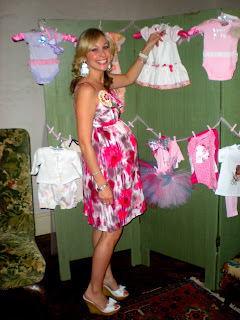 Everything was so cute and all of the decor matched Josselyn's nursery colors perfectly! 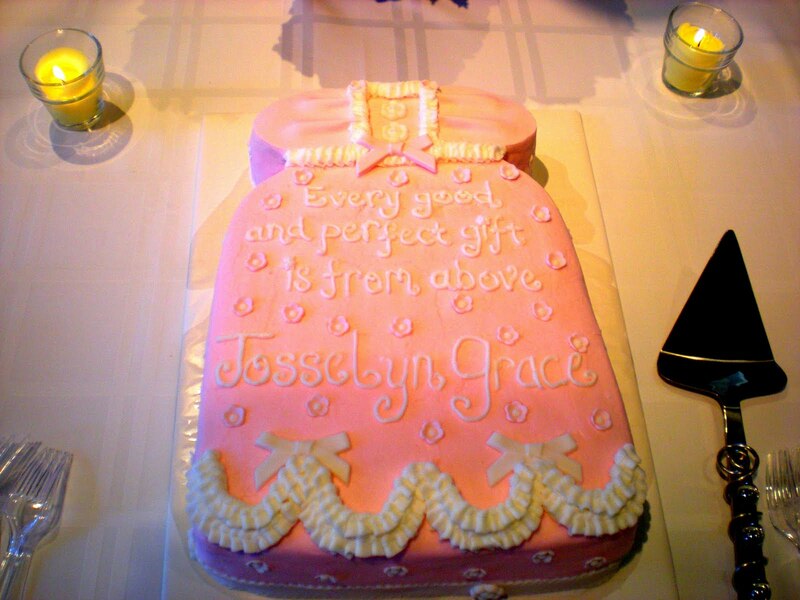 The dessert table was so beautiful and there was the sweetest cake with the scripture James 1:7 on it, "Every good and perfect gift is from above" Then there were delicious petit fours which I absolutely love!!! And I can not forget about the adorable cupcakes Elley and Kelsey made, which had baby faces with pacifiers on them ;) The food for the brunch was delicious as well everyone ate until they were stuffed! 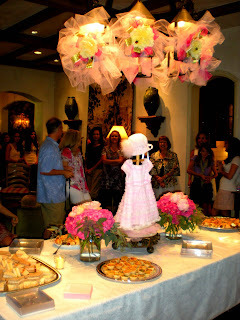 Now this was a "display" baby shower which some of you may not be familiar with (I had no clue what one was until I lived in Midland! lol) but it is very cute idea for a baby shower! 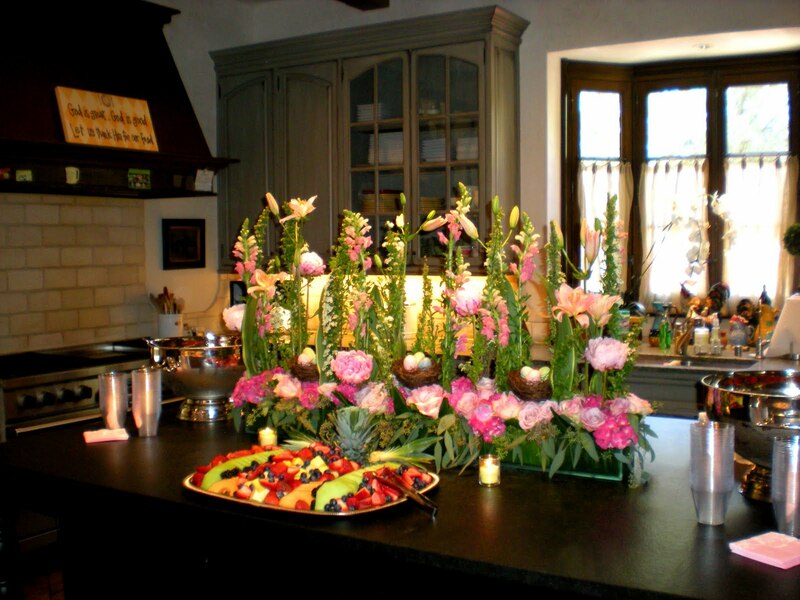 Instead of the guests bringing the presents wrapped the day of the shower they bring the presents unwrapped the day before the shower. 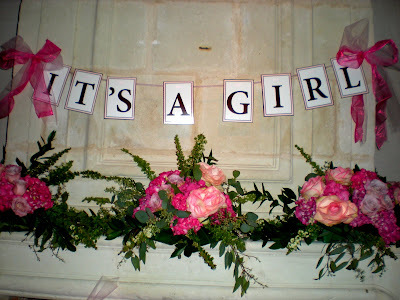 Then the hostesses have time to label every gift (who it is from) and have it displayed as decoration for the shower! 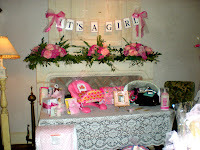 Let me just tell you that Shelley & Estee had the living room looking like a BABY BOUTIQUE!!! I was speechless when I walked in. 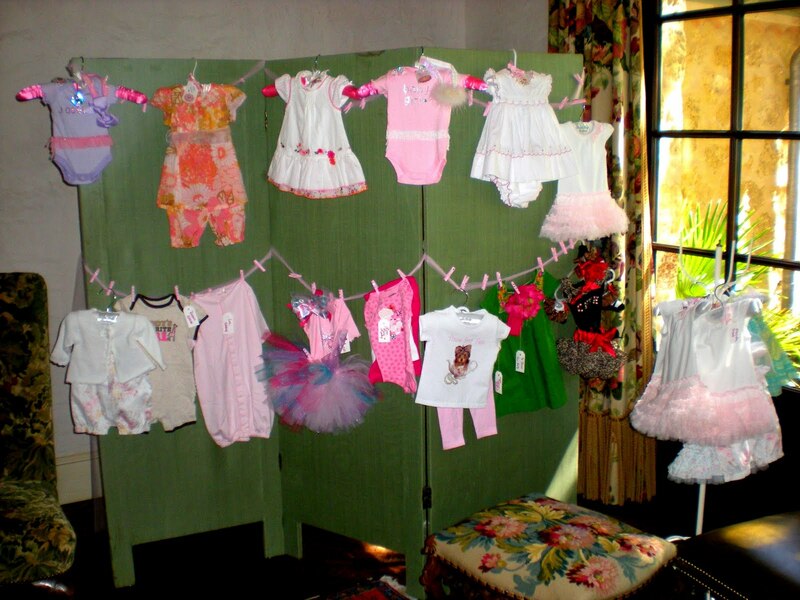 The most precious baby outfits were hung with pink sparkly clothes pins along ribbon that was swagged across a sage green room divider. 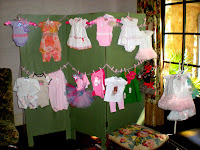 Then there were sweet baby dresses hung on little coat racks as well! There was a big table set up in front of the fire place with more adorable presents displayed on it and the coffee table had even more goodies on it! 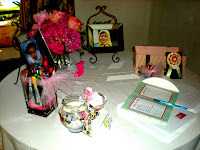 The girls displayed everything so perfectly...I was absolutely amazed :) The whole morning was absolutely perfect. We all had a wonderful time eating, chatting & playing games! 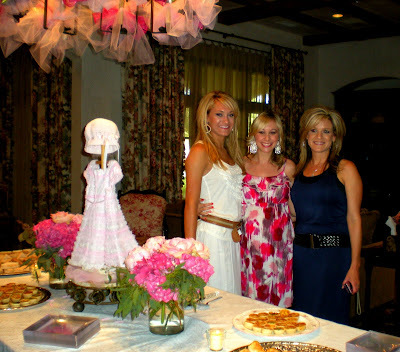 I never in my wildest dreams would have imagined anything as grand as this baby shower was. Now let me be honest about something...I was a little worried not many people would come to my Midland baby shower. You see...yes I am very social and bubbly and I do have lots of friends from West Texas but I have not lived in Midland for over 2 years now. Sure, I lived there for 5 years but it is not always easy staying in touch with old friends especially when you are now 350 miles from each other. Well I basically prepared myself to not be disappointed if only 9 or 10 friends came. I knew that no matter how many people came it would still be a blast and it would be so much fun to see those friends. Well...I was completely surprised & blown away when I first walked in the door and saw TONS & TONS of old and new friends from Midland/Odessa. There were probably 40-50 ladies who came to show love and support to me and baby Josselyn! I saw some of the first ladies who welcomed me when I moved to Midland over 7 years ago. 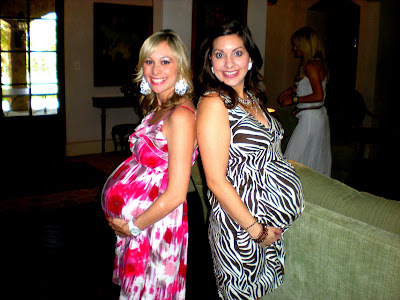 Amber Hall & Traci Edwards were two of my very first friends I met in Midland back in 2004. Amber & I clicked instantly and now her family is apart of mine. I am her sons god mother and no matter how long we go without seeing each other we always pick right back up where we left off! I met Traci when I was only 20 years old. John and I were just dating when we became friends. 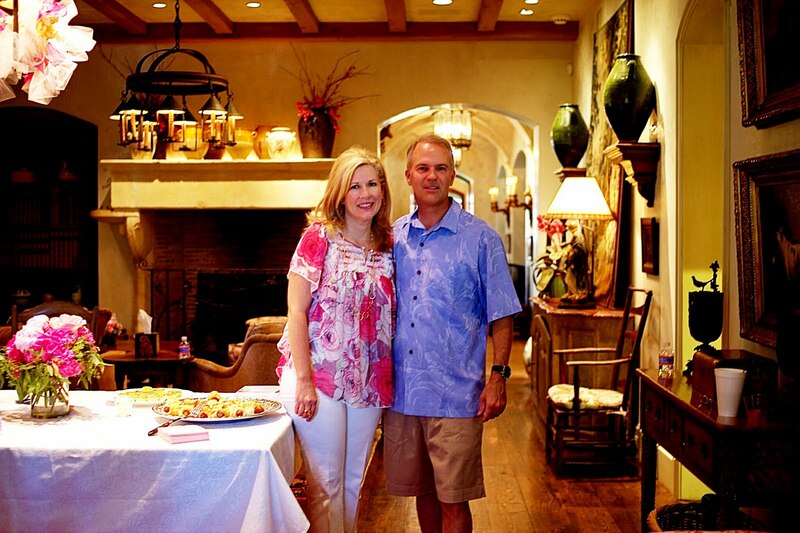 I will never forget how Traci & her husband Bruce would drop major hints to John about proposing to me every time we hung out! We were all starting to worry that John was NEVER going to ask me to marry him after 2 whole years of dating and still no ring lol. Luckily John finally got the hint and proposed to me in 2005 :) Sweet Julie Villeriel & Peggy Williams were also at the shower; they were two of the precious ladies who helped me plan my wedding after John FINALLY proposed in 2005 :) They helped me think of colors, center pieces and all of the other wedding details. 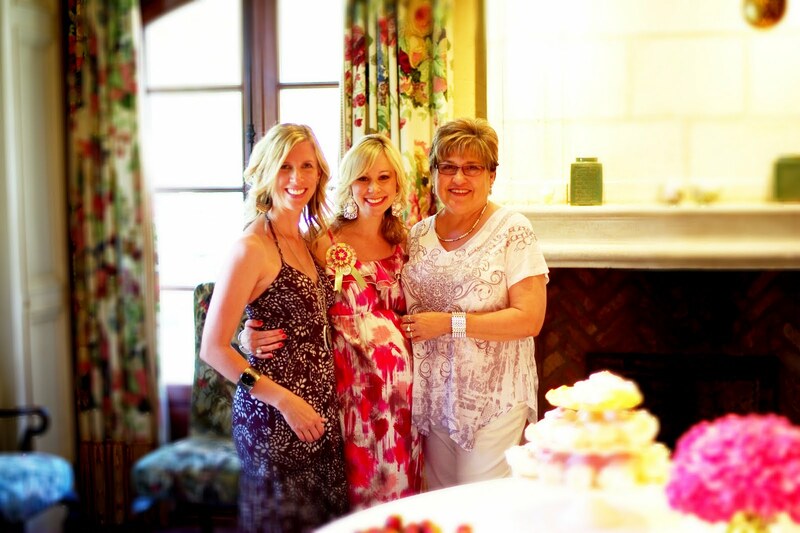 It was so great to see both Julie & Peggy! Then there were the amazing Invictus girls! 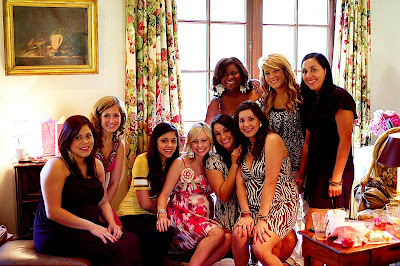 Some of these girls have been in my life for years like sweet Annette Martinez who I met back in 2004 when I first moved to Midland and Arla Chavez who came along a few years later but quickly became one of our core, key leaders at Invictus. Without these girls Invictus College Ministries would have never became what it is today. It was also incredible to see some of the ladies of Harvest Time Church...Pastor Rhonda Trout, Gean Haysslip, Patty Dozier etc. 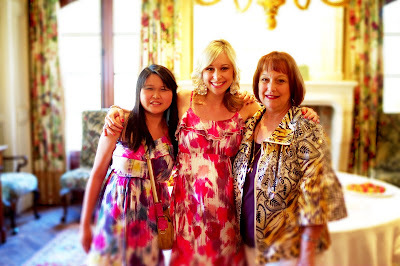 These incredible ladies have know John since he was a little boy and have literally watched him grow up! Basically, there were friends from so many different seasons of my life and it meant so much to have them all share this special day with me! 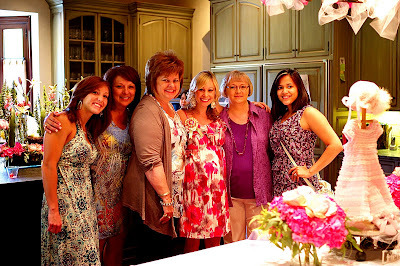 I was literally over whelmed by all the love and support I felt at this baby shower. Some of the amazing Invictus Permian Basin girls! 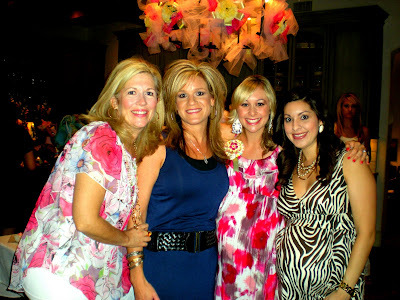 Shelley Arrington and her sweet girls (Elley, Amy & Katie Grace) are like a 2nd family to me. I love those girls with all of my heart! Shelley is one of the women who I look up to and completely admire. She is honestly one of the BEST MOTHERS I have ever seen and I hope I can be half of the mom that she is to her kids! Shelley loves the Lord with all of her heart and her family is her life. I have never seen kids who love and adore their mom like her kids do and I hope that one day Josselyn looks at me the way her precious kids look at her. Some of my favorite pregnancy moments have been just sitting on the Arringtons couch or sitting at their dining room table and talking to Shelley about pregnancy and life with kids. She has poured wisdom into my life and I know that she is someone I can always call on for advice! Estee Martinez is one of my best friends ever! The crazy thing is that we have only been friends for about 4 years but it seems like 14 years. She was a God sent friend and an answer to prayer. We have a friendship and bond that is unbreakable and I am so blessed to have her in my life. Estee is loyal beyond words and she truly treats her friends like family. I know that if there is one couple John and I can always count on it is Cookie & Estee. There is no doubt in my mind that we will be life long best friends and I am praying that one day we will live in the same city again! The Lord has blessed me with some of the most incredible women in my life! I am so thankful to know each and everyone of them and call them friends.